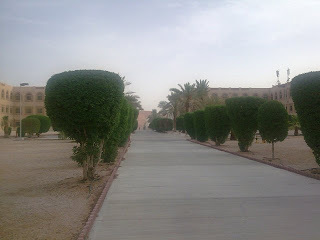 My Life and Activities here in KSA..: Clinic Shaybah..2 days of stay.. I was called by our Project Manager to relieve to one of the clinic in Clinic Shaybah.I was hesitant not to go there because,I never knew the place,but base on comments buzz on me with other people,they said that Shaybah was a very nice clinic,although it is remote and located near to UAE,the place was quite nice.I was only there for 2 days,but I enjoy my stay there,people were accomodating,nice,but the most thing I like there was what they called as "KAMPAY".I was very much happy with my 2 days stay there in Clinic Shaybah..Kudos to the people in Clinic Shaybah..Mabuhay Kayong lahat! !